Pope Francis waves to faithful as he leaves at the end of the weekly general audience in St. Peter's Square, at the Vatican, Wednesday, May 30, 2018. Pope Francis became the first pope to publicly denounce a "culture of abuse and cover-up" in the Catholic Church, saying Thursday he was ashamed that neither he nor Chile's Catholic leaders truly ever listened to victims as the country's abuse scandal spiraled. "Never again," Francis said in a pastoral letter to the Chilean faithful on the eve of another weekend he will spend listening to victims of Chile's most notorious predator priest. The letter was issued on the same day the Vatican announced its top abuse investigators were returning to Chile on a new mission. In the eight-page letter, Francis once again thanked victims for their "valiant perseverance" in denouncing abuse and searching for the truth "even against all hopes or attempts to discredit them." He included himself among the guilty in failing to actually accompany victims, saying, "With shame I must say that we didn't know how to listen or respond in time." Pope Francis has a really difficult request for the faithful: put down your cellphones! NBC 5's Mary Ann Ahern has the latest on several decrees made by His Holiness on Thursday. And he spoke repeatedly of a "culture of abuse and cover-up." "The 'never again' to the culture of abuse and the system of cover-up that allows it to perpetuate requires us to work together to generate a culture of care," in the way we relate to one another, power and money, he said. 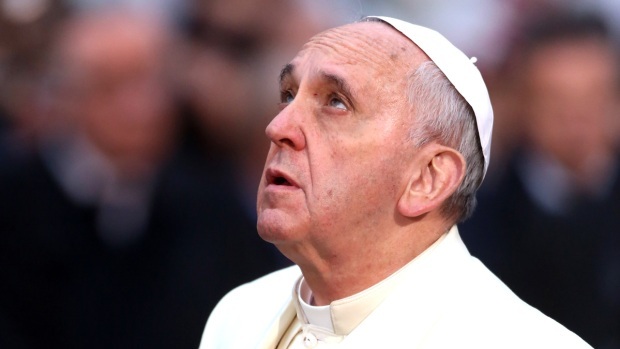 No other pope has publicly spoken of a culture of cover-up in the church. The Vatican has focused for the past decade on punishing abusers themselves rather than the bishops and religious superiors who moved pedophiles from parish to parish rather than reporting them to police or removing them from ministry. Pope Benedict XVI, credited with turning the Vatican around on the abuse issue, chastised Irish bishops in 2010 for their "often inadequate response" to abuse cases. But he never spoke of a whole system of power designed to protect molesters and shun victims. Victims and their advocates have long pointed to the hierarchy's culture of cover-up - the silencing and discrediting of victims, the effort to avoid scandal and the reflexive aim to safeguard the interests and reputation of the church at all costs - as the Vatican's main failure in dealing with the problem. Francis apparently came around to their view after meeting with Chilean victims of the Rev. Fernando Karadima and reading a 2,300-page report prepared for him by Archbishop Charles Scicluna and Monsignor Jordi Bertomeu, who spent nearly two weeks in Chile interviewing victims of Karadima and others. Pope Francis stopped his motorcade to help an injured police officer during a procession in Chile. The police officer was thrown from her horse when the Popemobile passed it. The Vatican spokesman Greg Burke said Thursday that Scicluna and Bertomeu were returning to Chile in the coming days on a mission to the diocese of Osorno to help the church there heal from the scandal. Osorno has been badly divided ever since Francis in 2015 tapped Bishop Juan Barros to lead the diocese over the objections of some of Chile's other bishops. Barros had been a top Karadima lieutenant and had been accused by Karadima's victims of having witnessed and ignored their abuse. Barros denied the charge, but he was one of the 30-plus Chilean bishops who submitted their resignations to the pope after Francis summoned them to Rome for a dressing down and briefing on the Scicluna report. Juan Carlos Claret, a spokesman for a group of lay Catholics in Osorno, said the visit was "the least we could hope for," given that the pope himself was responsible for Osorno's problems. He recalled that Francis appointed Barros over the objections of Osorno faithful and some of Chile's bishops, and then kept him there despite three years of protests. "We appreciate the gesture, but we don't know why they're coming," Claret said. Over the past three years, Barros twice offered to resign but Francis twice refused to accept it, blaming the opposition to him on "stupid" ''leftists" in Osorno. Francis has admitted he made "grave errors in judgment" in the Barros case, but he blamed his missteps on a "lack of truthful and balanced information" that reached him. He hasn't revealed who provided him with the bad information. 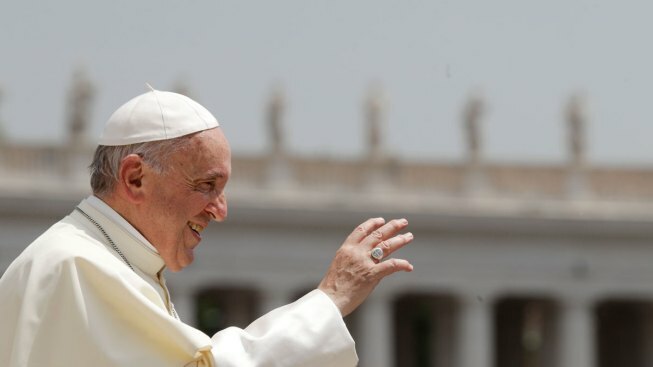 The pope is widely expected to accept Barros' resignation the third time around, along with the other Karadima-trained bishops and an unknown number of other diocesan bishops. Presumably, after meeting with Osorno's Catholic community, Scicluna and Bertomeu will be able to report back to Francis on the pastoral needs of the diocese and the profile of a new bishop.